Ever since I started to read again (about 20 years ago) and especially when my amount of books started to grow I had the idea that when I got the room for it, I wanted a library. I met a bibliophile girl and a little over three years ago we bought a house. One of the first priorities was the library. My girlfriend has many more books than I do. Contrary to me she buys books without the need to read them (immediately). 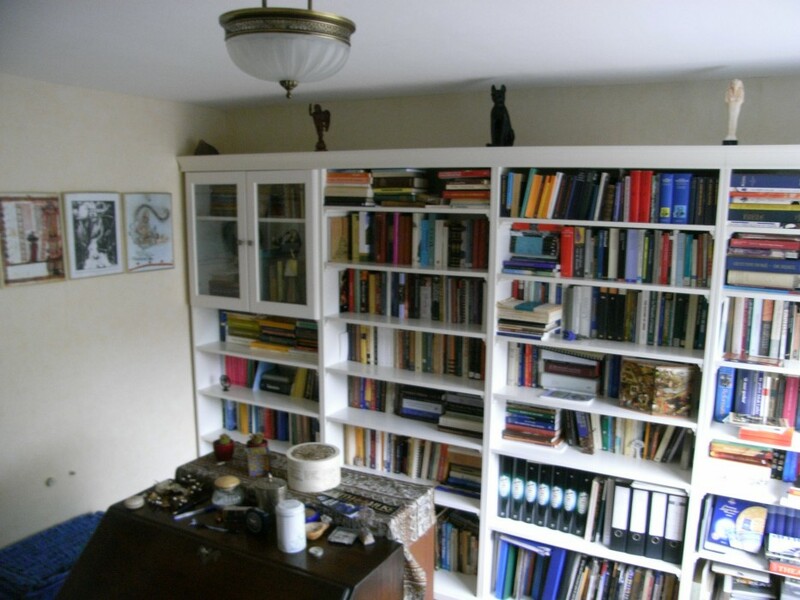 What you see below is a glimpse of one half of our library. It even has a couch and a radio and yet I am always never to be found in it. I prefer the living room where my music is and a descent audio installation… And ever since the library is finished it needs to be tidied up!